Shoulder badge of the 50th Northumbrian Infantry Division. The two T’s are reminiscent of the two geographical boundaries of the Regimental Recruitment Area, namely the Tyne and Tees Rivers. The 50th Infantry Division was created in 1939 and belongs to the British Territorial Army. The division is deployed in France and Belgium where it knows its baptism of fire, although initially comprising only two infantry brigades (the 150th and 151st infantry brigades). It takes part in the attack of Arras where it undergoes very heavy losses in particular against the troops of the 7th German armored division commanded by the general Rommel. Reorganized in June 1940 after the evacuation of Dunkirk and reinforced by the 69th brigade, it becomes a division strictly speaking. On April 22, 1941, the 50th Infantry Division (D.I. ), nicknamed Northumbrian, is sent to North Africa via the Middle East. Again, the 50th ID fights Rommel’s troops and in May-June 1942 the British must retreat and abandon their defensive positions in Gazala after furious fighting during which the 150th Infantry Brigade is put out of action. The 50th D.I. is then reinforced by the 1st Free French Brigade and the 1st Greek Brigade in the framework of the second battle of El Alamein. Continuing the Allied efforts in North Africa to take back these territories to the Axis forces, the 50th DI participates in the Supercharge operation on November 2, 1942 to seize Tell el Aqqaqir: after ten hours of bombing, the 151st and 152nd Infantry Brigades begin the assault by clearing their way through the minefields. In 1943, the 50th D.I. fights in Tunisia and participates in the Pugilist operation against the Mareth line from 19 to 20 March 1943: the British fight against the 15th Panzer Division. On April 5, 1943, they destroyed the Italian San Marco Battalion at Wadi Akarit. During this offensive, the 6th Green Howards regiment lost 126 men killed in action. At the end of the fighting in North Africa, 250,000 Axis soldiers are taken prisoner. On July 10, 1943, the 50th Northumbrian landed in Sicily in Avola, under the command of the XIII British Corps. On the 16th of July, the 151st Infantry Brigade seized the strategically important bridge of Primosolo on the Simeto River. At the end of the intervention in Sicily, on October 19, 1943, Montgomery decided to withdraw the 50th D.I. to the 8th British Army to allow it to prepare for Operation Overlord and the place in England. In England, the 50th Infantry Division is reinforced by the 56th and 231st Infantry Brigades. 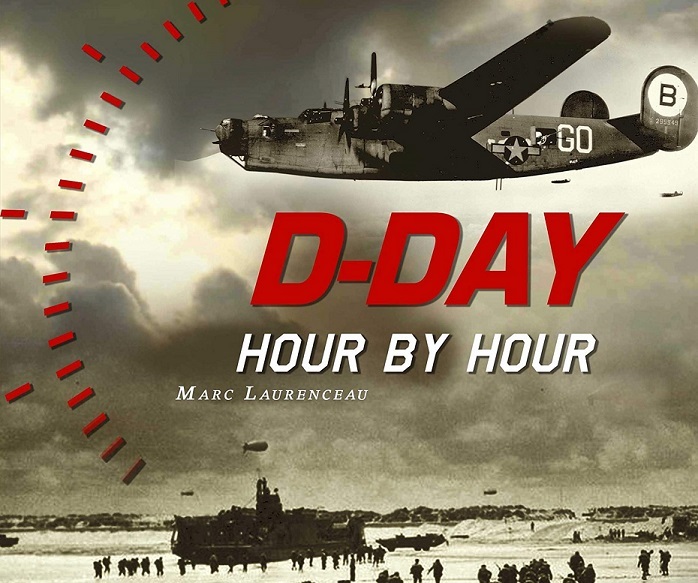 On June 6, 1944, she landed at 07:25 on the beach code name “Gold”: must capture Bayeux, the village of Arromanches and the national highway 13 connecting Bayeux to Caen and finally to make the junction with the Canadian troops landed at Juno Beach. The 69th and 231st infantry brigades formed the first wave of assault, supported by the tanks of the 8th British Armored Brigade. The German defenders of the 352nd and 716th infantry divisions oppose a fierce resistance but bend under the allied firepower, especially that issued by the air force. Gold Beach is under control in the middle of the morning and the 50th DI progresses rapidly towards the south: the battery of the Mont Fleury falls under the assaults of the 6th Green Howards regiment while it is the infantrymen of the 69th brigade which ensure the junction with the 3rd Canadian division from Juno. On the evening of D-Day, the Bayeux-Caen road is not reached and the division records 400 losses. Following the fighting of the 50th Northumbrian are concentrated around the city of Caen where furious fighting takes place in order to seize the Norman capital. The division took part in Operation Perch on June 11, 1944, which saw the bloody fighting in the village of Tilly-sur-Seulles against the German soldiers of the Panzer Lehr division. In the end, on June 16, the small village of Tilly is nothing but ruins and it was lost and then taken 23 times in total before its final release. The 50th D.I. is the spearhead of many other British operations in Normandy, particularly that of Bluecoat in August 1944. The unit continues its efforts towards the northeast towards Belgium. The 50th Northumbrian is placed in reserve of the 30th British body as part of Operation Market Garden which begins September 17, 1944 in Holland. Its battalions participate in the offensive towards Nijmegen. The Germans, contrary to what was planned, firmly defend and counter-attack: they cut in half the 50th D.I. from September 22 to 23 until the Allied forces restore the integrity of their lines. The division seizes successively Valkenswaard, Bremmel and still Halderen after hard fights. From September 30, 1944, the 50th Infantry Division is to defend the Allied Bridgehead north of the town of Nijmegen, exposing it to a number of particularly violent counter-attacks that last for nearly two years. month. The 69th Battalion and the 6th Green Howards regiment pay dearly for the defense of their positions: the losses of the division amounted to 900 men in mid-October. 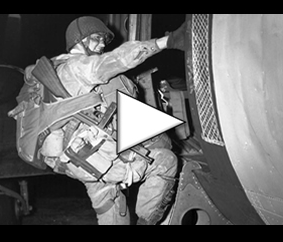 After Operation Market Garden, Montgomery decided to remove most of the elements of the 50th Infantry Division from the front line and place it in England. It serves as a training unit for new recruits who replace the soldiers put out of action. At the end of the Second World War, the division’s total casualties amounted to 8,500 men: killed, wounded or missing. In 1945, the 50th D.I. is deployed in Norway where it returns to its original function, namely a territorial force, before being definitively dissolved.